Will you help us send God’s love to our soldiers? We hope you have enjoyed a Merry Christmas with friends and family. Most of our soldiers won’t be with their families; they’re stationed all around the world, guaranteeing our safety. 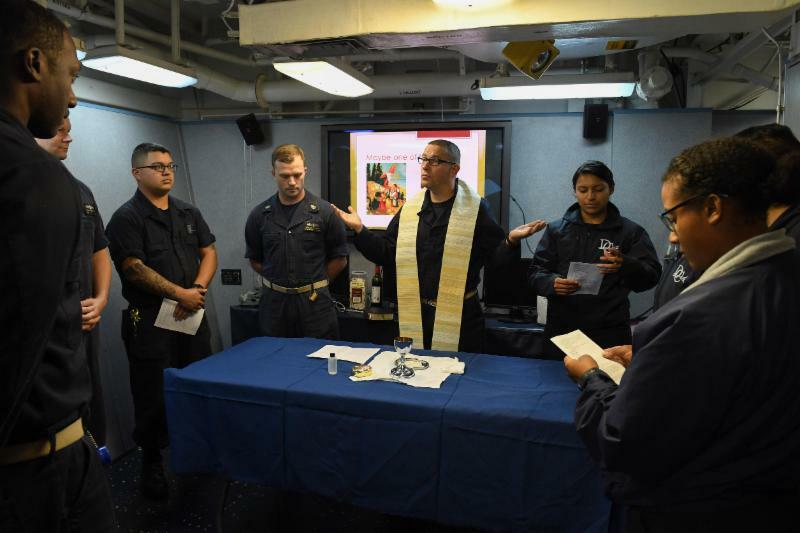 When Episcopal Priest and US Navy Chaplain Philip Webster recently deployed, he reached out to us for resources to use with those who rely on him for spiritual guidance. Thanks to your generosity, we sent him over eighty books and copies of Forward Day by Day. “One of the mottos that we use in the Chaplain Corps is that we are “where it matters, when it matters, with what matters most”. 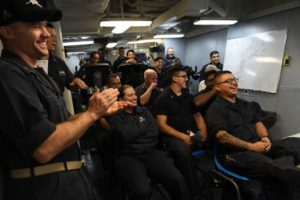 The good people of Forward Movement are helping me to accomplish my mission and ministry as a priest of the church and a chaplain in the Navy. Your generosity, as well as that of your donors, is making a real difference – thank you! Please find attached a picture from a recent celebration of Holy Communion. I want you to know that lives are being touched with a message of good news and transformative, unconditional love… and Forward Movement is part of that story. Your gift today lets us say YES again and again to our military and many, many others with gifts of Forward Day by Day, prayer books, and much more. Please make your gift now. Happy New Year! Text FDD to 41-444, or click here to join Forward Movement’s ministry. Thank you!